Dirt has a bad rep. It can be gross. It can create a mess in your home. Some people believe too much exposure can lead to getting sick. 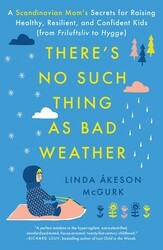 Linda Åkeson McGurk, author of THERE’S NO SUCH THING AS BAD WEATHER, is here to set the record straight. Let your kids play outside and get dirty as much as possible. Most germs in our environment are completely harmless, and some are even beneficial to our health and well-being. Don’t pressure your doctor for antibiotics at the first sign of a cold. Chances are the infection is viral and won’t be helped by antibiotics anyway. Overuse of antibiotics leads to drug-resistant bacteria, which is a major public health threat, as it makes it harder to prevent and treat a wide range of infections. Let your child spend time with dogs and farm animals early on in life. As gross as it may sound, being around the microbes found in animal poop is believed to help protect against allergies later in life. Wash hands to avoid infections, but ditch the antibacterial hand soap and nonalcoholic hand sanitizer. They don’t do anything that regular soap and water can’t take care of, and most of them contain triclosan, a harmful hormone disruptor that is believed to create bacteria that are resistant to antibiotics. Stop that bleach-infused house-cleaning routine. There’s no need to use the nuclear option of cleaning supplies when old-fashioned soap and water does the same job without harming the environment and killing beneficial bacteria. Plus, contrary to popular belief, a study involving children in Spain, Finland, and the Netherlands showed that exposure to household bleach may actually increase the risk of infections like influenza and tonsillitis. Support your child’s gut health by feeding her natural probiotics like kefir, yogurt, and fermented vegetables. The more diverse our gut flora is, the better able it is to support important bodily functions, like the immune system and digestion. 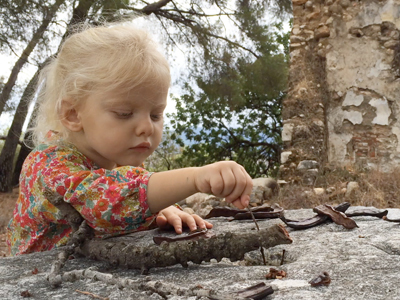 Let your kids be active (and dirty) by taking them on a hike.